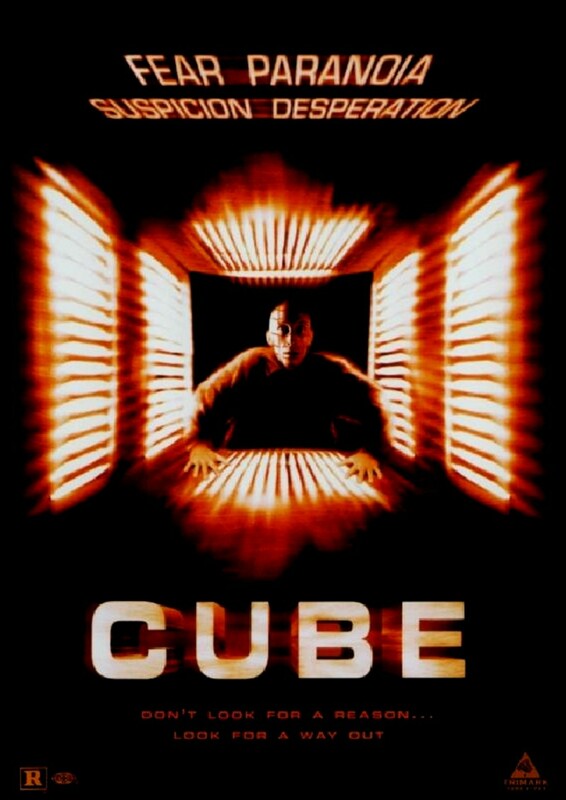 Cube is a SciFi horror film about a group of ‘subjects’ who awaken in a room with anterograde amnesia as to how (or why) they got there. The characters discover that their new prison cell is one of 17,576 rooms that form a government-sanctioned cube with booby-traps that impede their search for an exit. The strangers must overcome significant trust issues and work together to solve the puzzle of the cube to gain their salvation. The original group of 4 characters finds Kazan, an occupant of the cube who is stricken with an adult autistic disorder, likely Asperger’s syndrome. Two psychiatric comorbidities affecting people with Asperger’s syndrome include Social Anxiety Disorder (SAD) and Posttraumatic Stress Disorder (PTSD). Cube serves to review these 2 disorders through analysis of its 2 main characters. The group travels silently through a room with a sound-activated trap. After Kazan makes a sound and nearly causes Quentin’s death, Quentin threaten’s Kazan. This interaction moves the narrative forward, as these 2 characters symbolize the yin-yang of the group’s efforts to escape. Affecting 1 in 68 children (CDC, 2014), individuals with an autism spectrum disorder have high levels of psychiatric comorbidity including SAD. The film serves as a metaphorical platform to discuss the treatments for SAD including group therapy, flooding (in vivo exposure therapy), and novel psychopharmacological therapies such as 3,4-methylenedioxy-methamphetamine (MDMA). MDMA (ecstasy) produces effects characteristic of psychedelics (hallucinogens) and amphetamines. Renewed research interest in MDMA and anxiety builds on earlier studies of lysergic acid diethylamide (LSD) and psilocybin in treating autistic minors (misdiagnosed as having childhood schizophrenia). The drug’s hallucinogenic effect may also explain Kazan’s subjective reality of being imprisoned in the cubic colossus. Another comorbidity of Asperger’s syndrome is PTSD. This illness is likely depicted by Quentin, a police officer. NMDA inhibits the activity of the left amygdala (lessens the fear response) while increasing the activity in the prefrontal cortex (Mithoefer, 2011) thus dampening the conditioned fear response. [Spoiler Alert] Kazan and Quentin are the last men standing, with the former leaving through the hatch into the bright light, a metaphor for a breakthrough in psychotherapy.